We would like to invite you to join the opening of the official academic ceremony, which takes place on Friday, 29th September, at 11.00 o’clock! Be patient and take enough time to travel to the university due to the road constructions in the area. In case you do not need the public transport, you could park your personal car in the places designed for parking on Narodno Horo Str. Do not forget to bring your beloved friends, smiles and good mood. 11:00 Opening Ceremony of the Academic year. Greetings from prof. Dr. Plamen Bochkov, Rector of New Bulgarian University. 13:00 Meeting between students with directors of program councils, program consultants and lecturers. For more details click here. 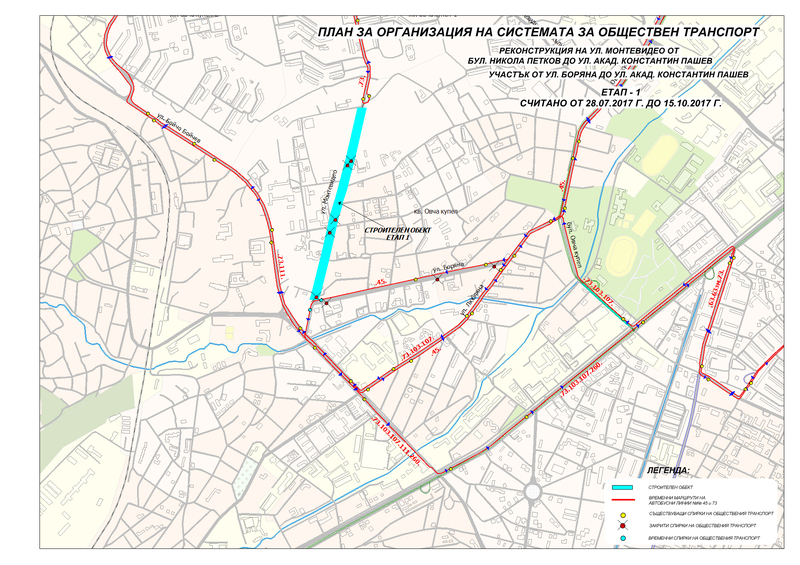 For your convenience we provide you with a scheme, where you can find more information about the bypass as well as the parking lots around NBU Campus.